The ongoing support of the MTB is evident once again with this event; the Riviera Nayarit and Puerto Vallarta are the only destinations to have welcomed a Travel Weekly trip not just once, but twice. 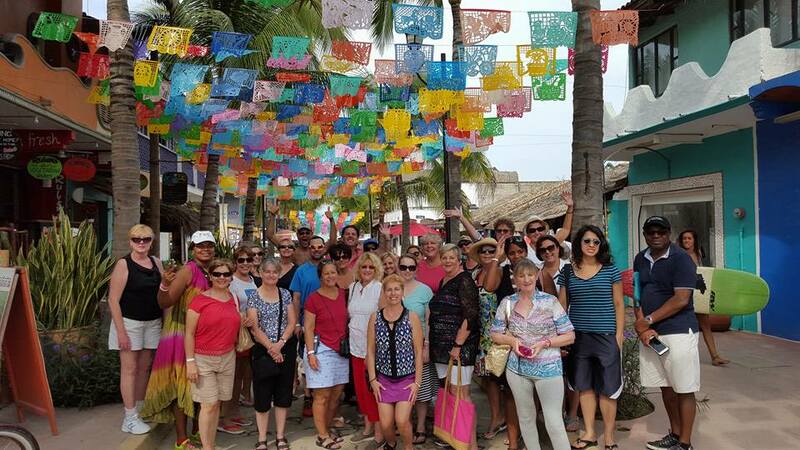 A group of top travel agents handpicked by industry media giants Travel Weekly and Travel Age West recently visited the Riviera Nayarit and Puerto Vallarta. The Mexico Tourism Board (MTB) encouraged this action, which included the participation of the Riviera Nayarit Convention and Visitors Bureau (CVB) and the Puerto Vallarta Tourism Trust (Fidetur). “This time around we were looking to support the destinations after Hurricane Patricia, and the MTB wanted to show the agents they were in top form to welcome tourists. This way they were able to see it for themselves,” said Paloma Martínez, Sales Director for Towmar. One of the activity’s objectives was for the participants to enjoy a more ample experience of the destinations, them the most important attractions, performing site inspections at the local hotels and attending presentations by local service providers. “Both the Riviera Nayarit and Puerto Vallarta complement each other beautifully and it’s a great idea for them to join forces to promote themselves,” added Martínez. Thirty-six agents participated, most from the United States with a few from Canada. The attendees were the ones who produce a minimum of one million dollars in sales for Mexico in the case of agency sales and half a million dollars in sales for Mexico in the case of home-based agents. The agents’ production capacity was key and they were also asked for feedback. At the end of the trip the visitors were very pleased and ready to dive back into selling the region.